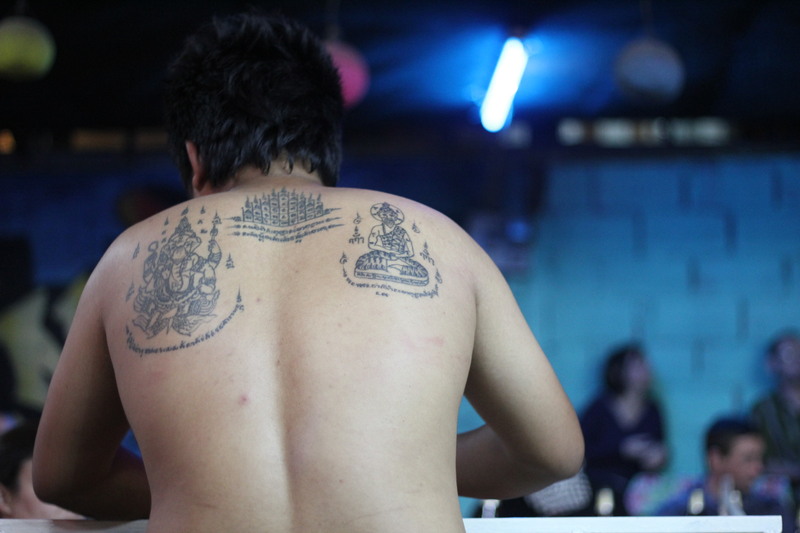 Chiang Mai is a great city. Its beautiful, a bit cooler, the people are friendly and though it is a big bustling city it seems chiller than Bangkok. 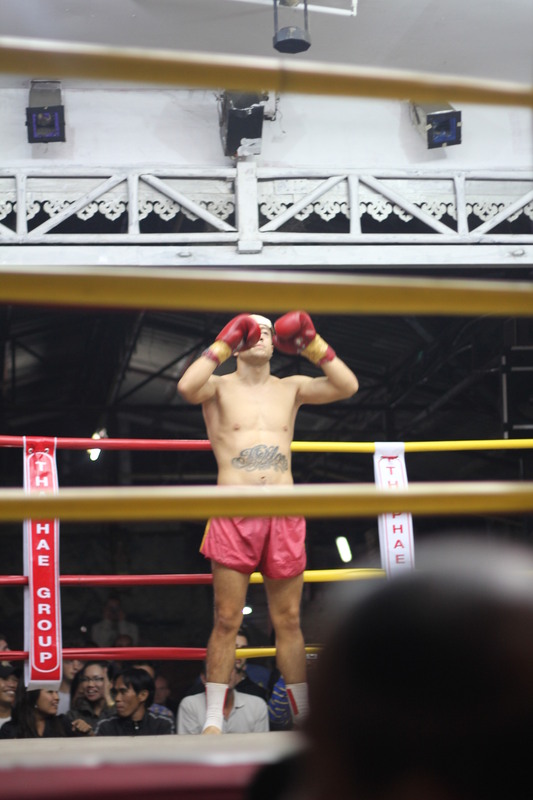 One night we decided to go to a Muay Thai fight. 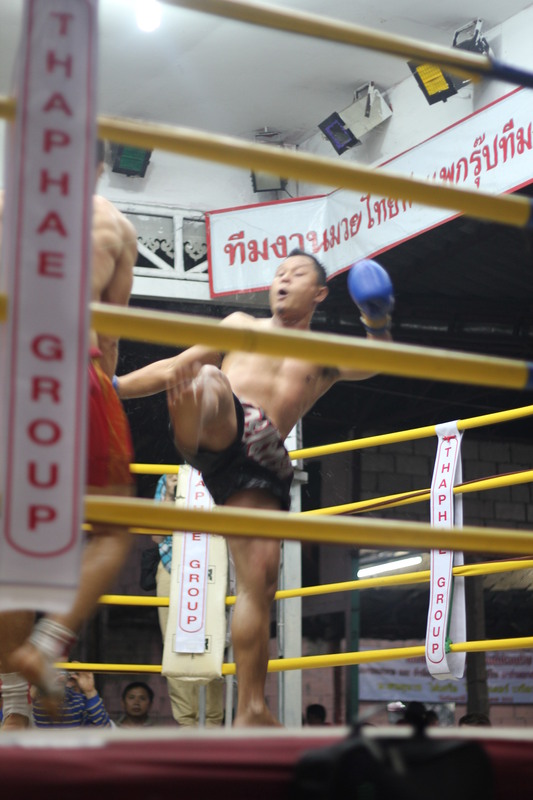 I have had a couple friends who have gone to Thailand to train or fight, but I had never seen a live fight before. I thought it was something I had to do while I was here. It was a really fun experience! The building where the fight took place was something out of a Jean Claude Van Damme movie complete with cheap drinks, graffitied walls, and pool tables. I guessed it was a reggae/dancehall club on other nights from the hundreds of fliers littering the floor. We paid for V.I.P. seats, so we got shown to our table just behind the judges. Great seats for watching, bad seats for taking photos. 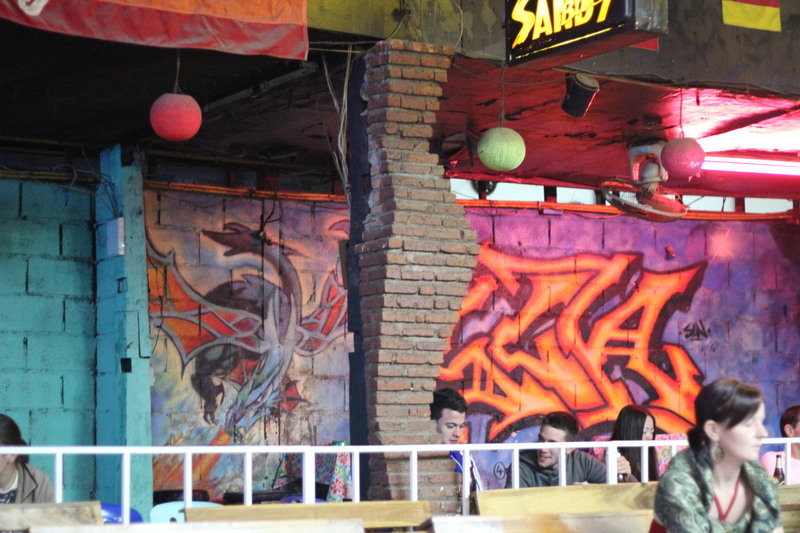 The music was blaring; people were starting to filter in, many foreigners and just as many locals. There were five fights that night with a band neatly on the sidelines playing to help set the rhythm for each fight. The first fight was a couple of maybe teenage boys. They looked intense, new fighters eager and focused! The second fight was with two girls. They also looked young. But their innocent looks were a ruse because those girls could fight. 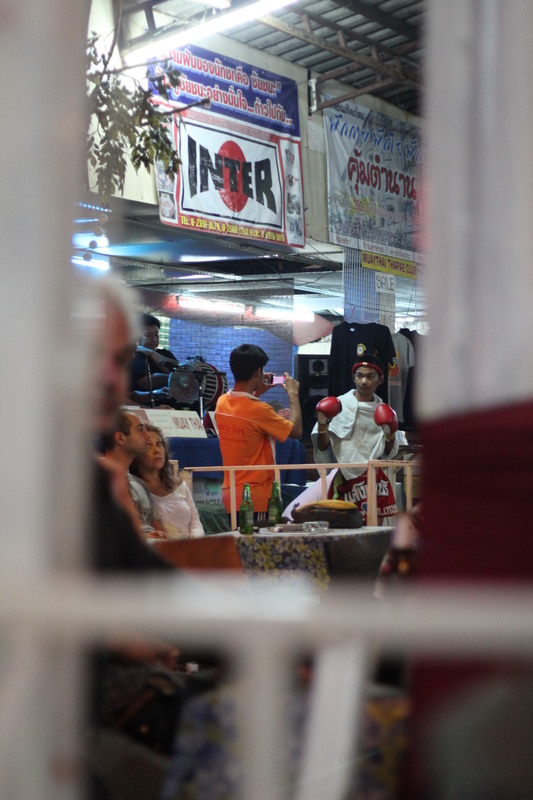 The third fight was a couple of Thai men. This was a more intense fight; they definitely had their own entourages cheering them on. 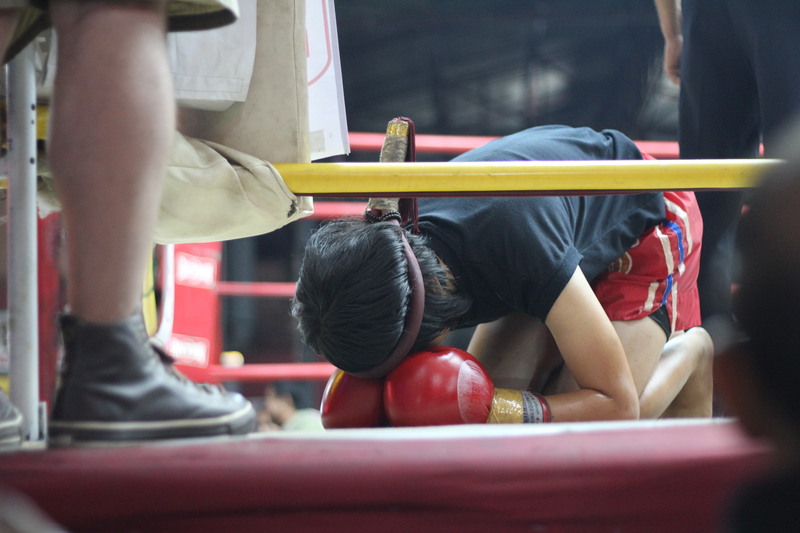 The kicks were pretty heavy and they looked exhausted when the fight was called. The last two fights were the foreigner fights. They each fought local Thai guys. 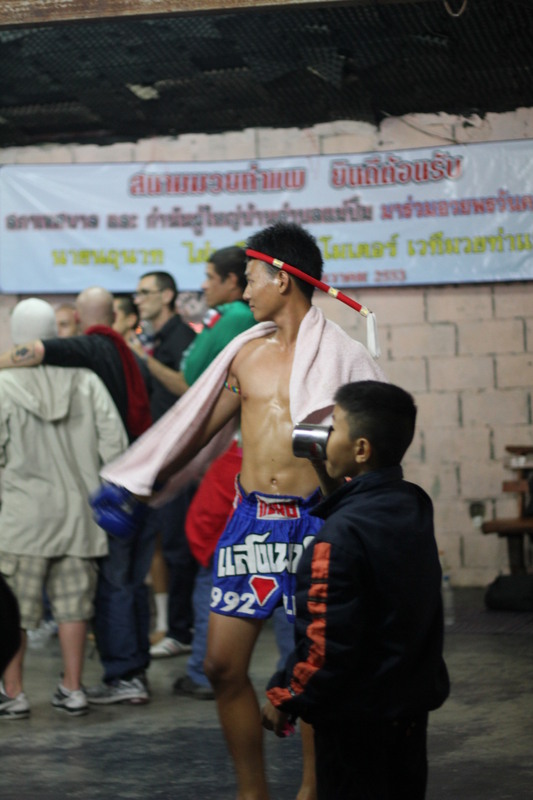 The first foreigner fight was a close one, but the Thai guy won. His entourage went wild! The fighting was intense; you could see the strength of the kicks and the punches. The fifth and last fight was the quickest. It looked thrown actually. The foreign guy won after about 1 minute and a “knock out. 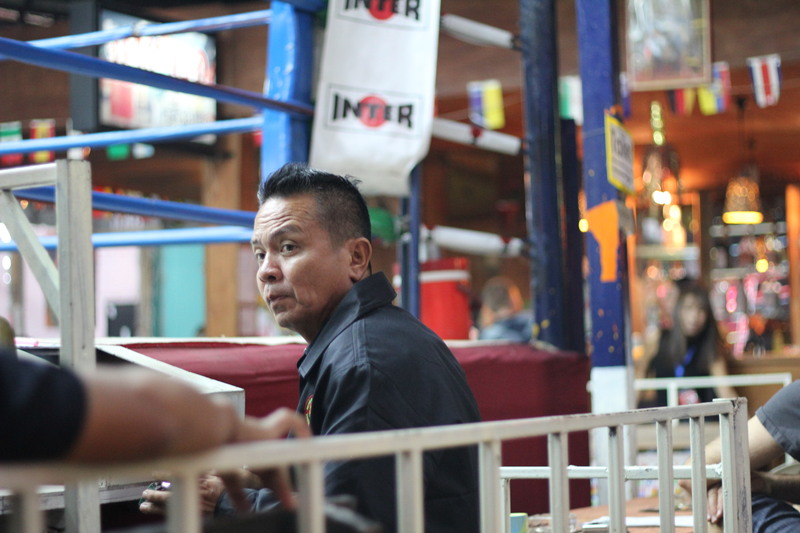 “ I’m not an expert on Muay Thai but it just didn’t look like a real fight for some reason. Later a friend told me it is common practice to throw fights. 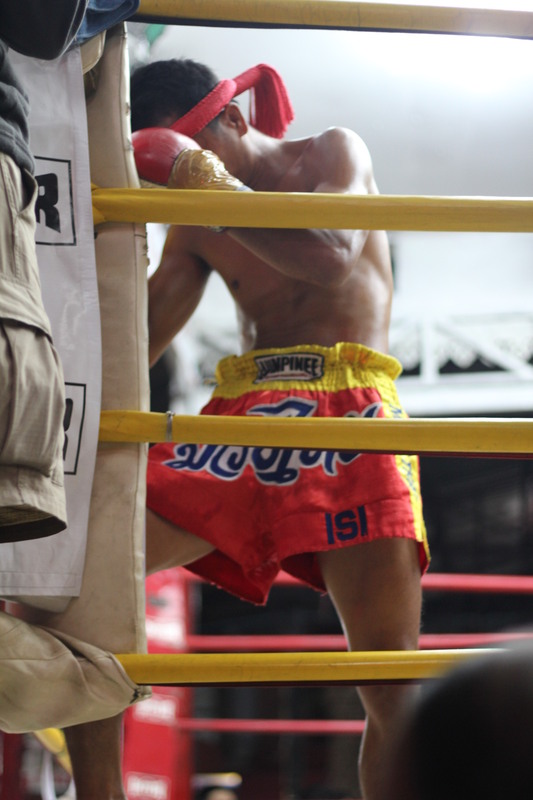 I love how Muay Thai is so graceful, it’s very beautiful to watch. It was pretty entertaining night as I got to get a peek into a world I know very little about! I hope you enjoy the photos and the story. Until next time… Here are a few more photos!